I was just digging through some old emails, and I found this little beauty. 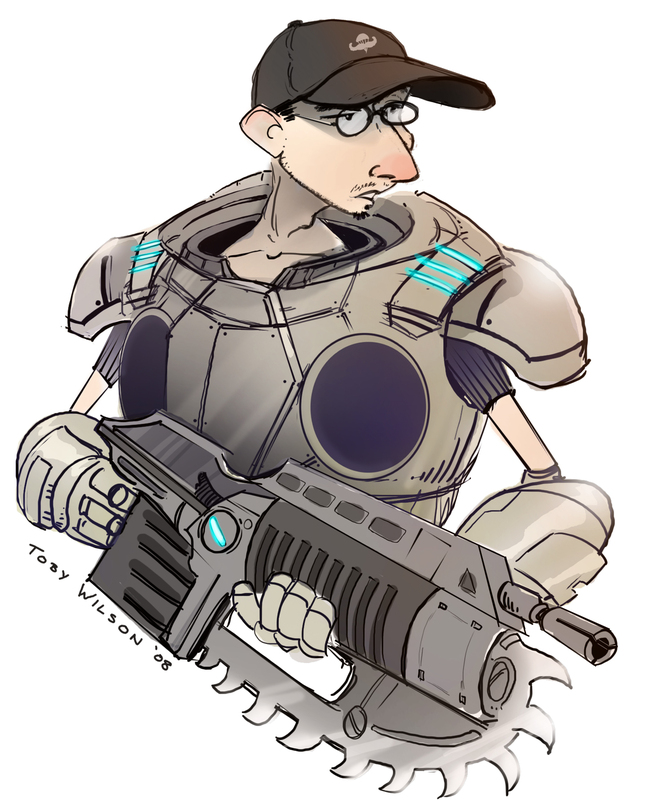 Back in 2008 when I was leaving EALA to go up to MGS and work on Gears of War, one of the Medal of Honor concept artists, Toby Wilson, drew this little charicature of me in COG armor. The hat is one of our Medal of Honor Airborne ball caps, and it was a staple of my wardrobe while at EA.